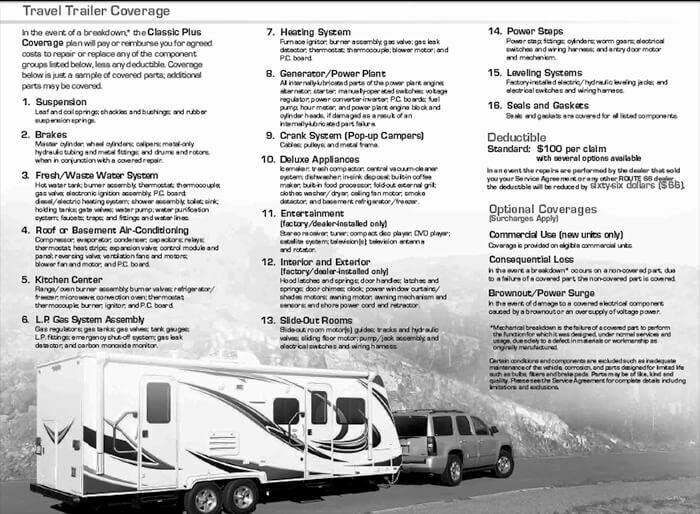 The way your RV looks inside and out is important to you, and it's important to us as well. 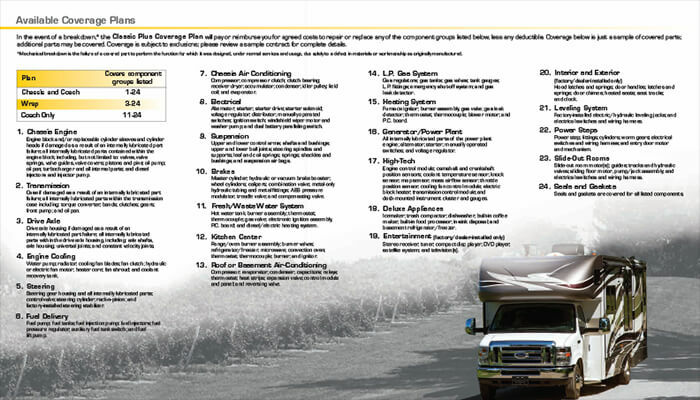 That's one of the reasons we offer MaxxGard Protection Systems for your New or Used RV. 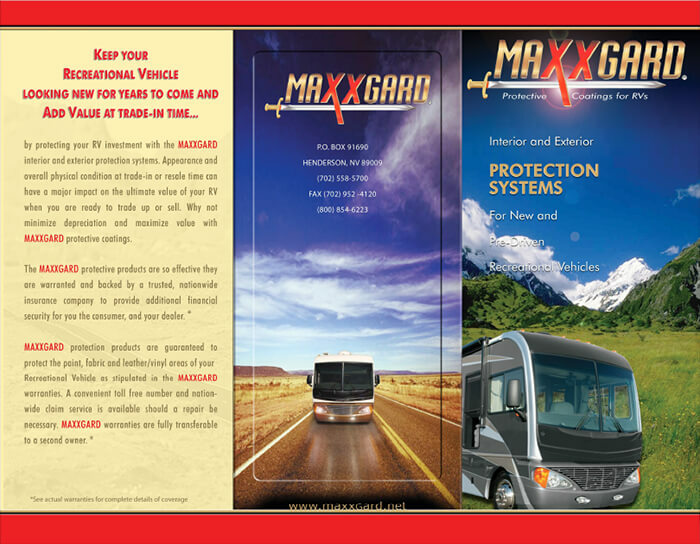 MaxxGard protection products are guaranteed to protect the Paint, Fabric and Leather or Vinyl areas of your RV. These products are so effective that they're warranted and backed by a trusted, nationwide insurance company to provide additional financial security for you. MaxxGard Covers . . .
Click on the images below to download detailed MaxxGard information and actual warranties for complete details of coverage. Paint Protecion: Professionally applied to protect against damage caused by weather-induced fading, chalking, loss of gloss, acid rain, tree sap, hard water spots, ocean pray, de-icing agents and road salt, paint overspray, brake and rail dust, bird waste and insect damage. Fabric & Carpet Protection: Professionally applied protection for carpet and fabric upholstery provides an invisible protective barrier from stains against fast food, beverages, baby oil, lubricating oil, bleaches, dyes, inks, fading, discoloration, sun's UV rays, mold, mildew, chewing gum, crayons, lipstick and makeup, blood and bodily fluids including those caused by pets. Leather and Vinyl Protection: Professional applied to maintain a showroom richness, beauty and integrity of your interior leather and vinyl trim, seats and dashboard areas against fast food, beverage stains, baby oil, lubricating oil, bleaches, dyes, inks, fading, discoloration, cracking of the dash, sun's UV rays, mold, mildew, chewing gum, crayons, lipstick and makeup, blood and bodily fluids including those caused by pets. Click to Contact Us via email, or call us at 866-876-6207.